"Instead of chopping yourself down to fit the world, chop the world down to fit yourself." Using personal anecdotes, physical disruption and wordplay, Smells Like Content investigates how to reveal a story as a whole with repetitive actions and language. 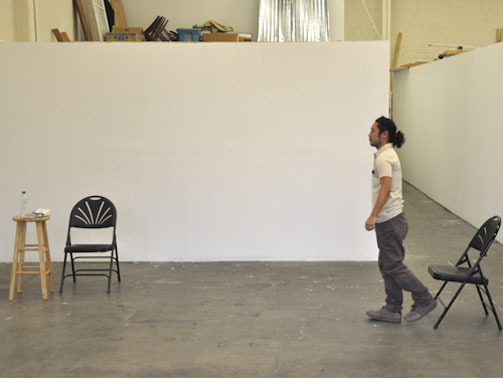 Presented at PNCA MFA studio in Portland OR in January 2012.